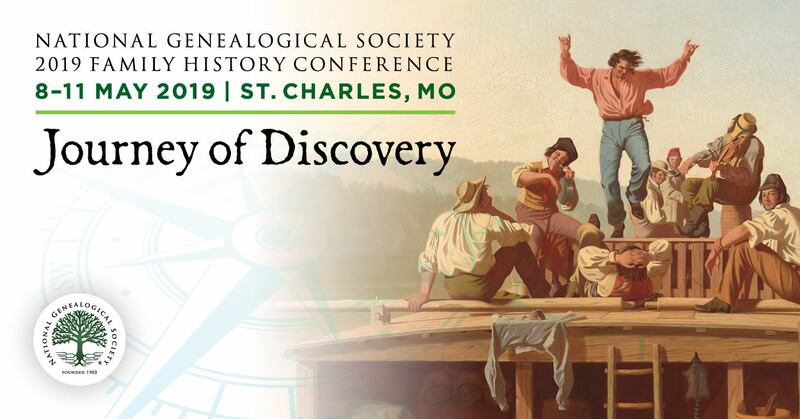 This is a great day for family historians! 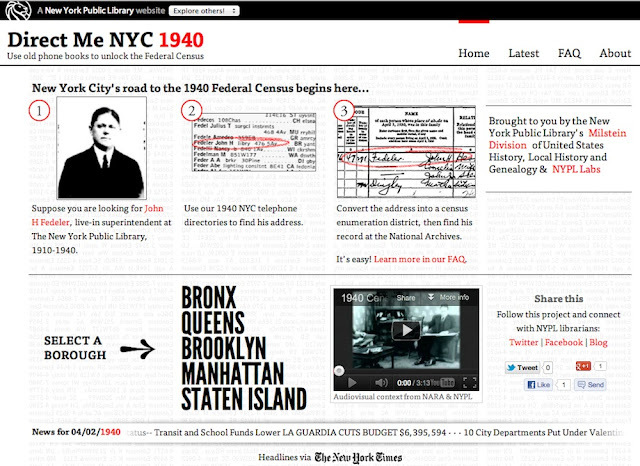 I just viewed the NARA live webcast for the release of the 1940 Census from the National Archives. It was historic and exciting. And of course, at the critical moment of the first live search of a 1940 census page, the inevitable technical difficulty spoiled the moment a bit when the site froze up. We will need to expect this and be patient in the coming days as it was explained that the “cloud” needs time to expand as large numbers of users log on. The servers will adjust over time as more users are added. For those of you with family in the NYC area in 1940, there is one more thing to celebrate. A tremendously exciting project will be launched today by a team at the New York Public Library http://www.nypl.org/milstein. 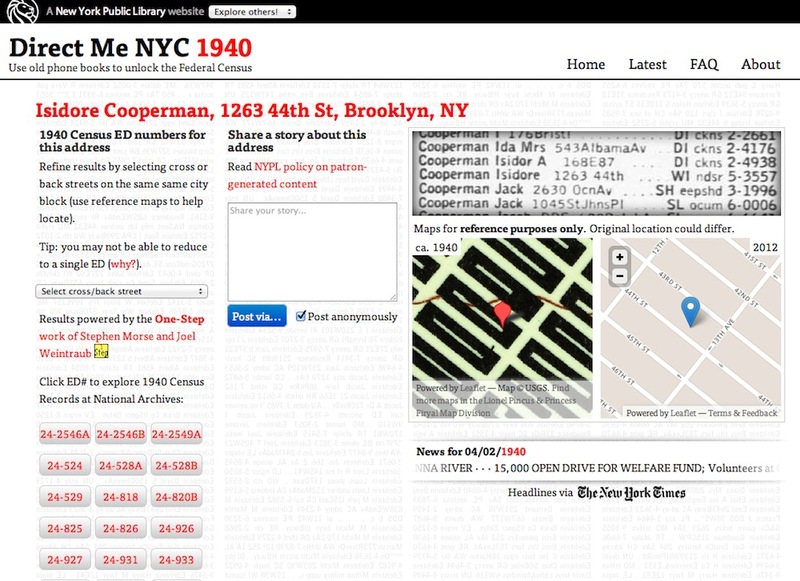 On Monday April 2, in conjunction with the National Archives’ release of the 1940 Federal Census, the NYPL Milstein Division US/Local History & Genealogy, and the NYPL Labs will launch a new website featuring newly digitized 1940 phone directories for the five boroughs of New York City. The new website is called Direct Me NYC 1940. The link is http://directme.nypl.org. 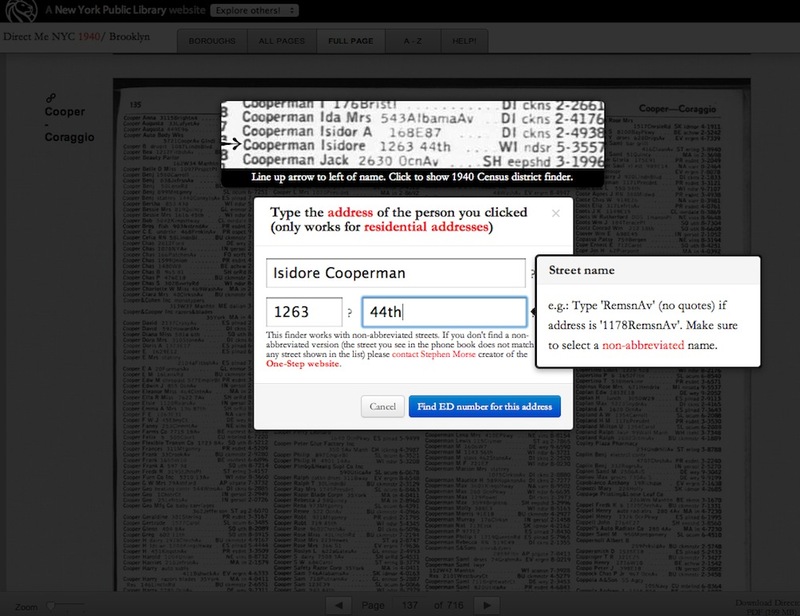 This highly interactive site will permit researchers to search on a name, select the address, convert to an ED, and connect with NARA’s page for that Enumeration District. Yes, it will be that simple. A team of NY based professional genealogists got a chance to beta test the website this week, including myself, and we were really delighted. Not only is this a great tool for the 1940 census, but having access to the fully digitized 1940 phone books for the Bronx, Manhattan, Brooklyn, Queens, and Staten Island will help advance many other research projects as well. 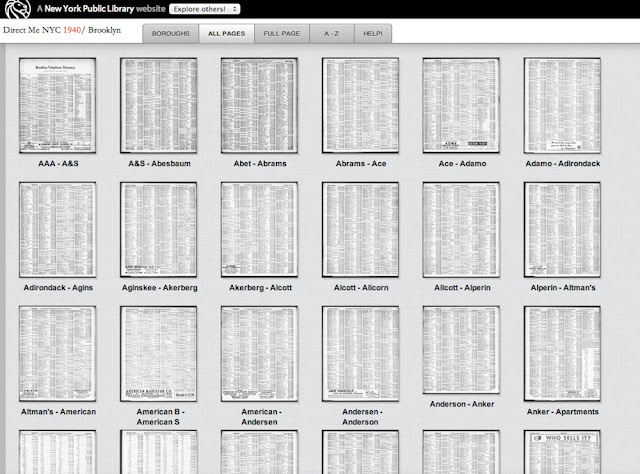 We are looking forward to more great things of genealogical importance (more city directories digitized please!) from the NYPL Labs and Milstein Division teams led by Ben Vershbow and Maira Liriano. Thank you to all the contributors at NYPL and to Steve Morse and Joel Weintraub who allowed the use of their One-Step tool to power the ED results.